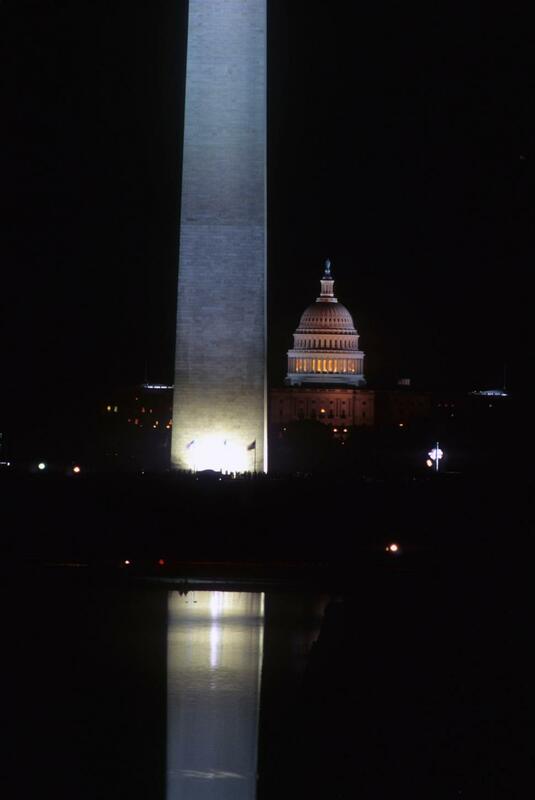 The Washington Monument and the U.S. Capitol building lit up at night in Washington D.C. Very compelling image. The Perspective is good as well. Thanks for making it free.